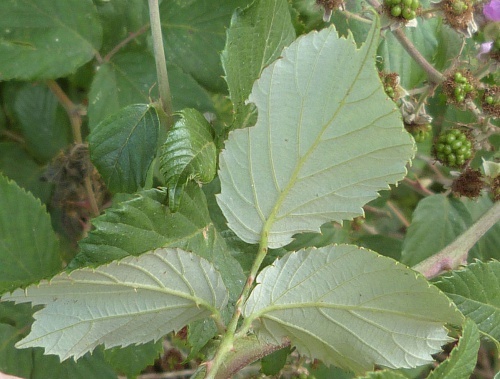 This species, sometimes known as Elm-leaf Blackberry, has a silvery indumentum on the underside of the leaflets, small, dry fruits and round pink flowers which appear later than many other members of this group. The arching thorny stems can form quite dense bushes. 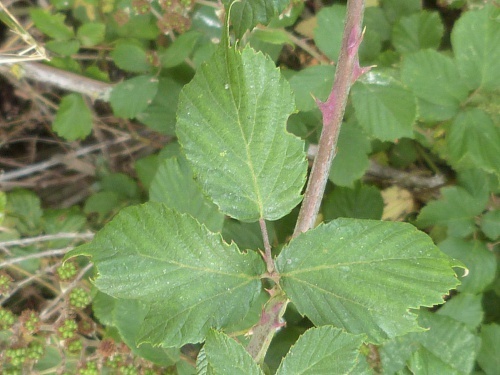 Widespread southwards from the Midlands but less common in the north of Britain. 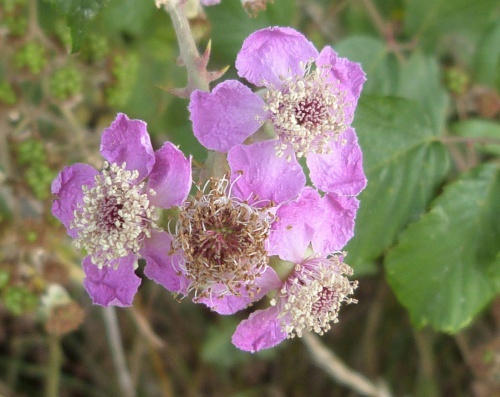 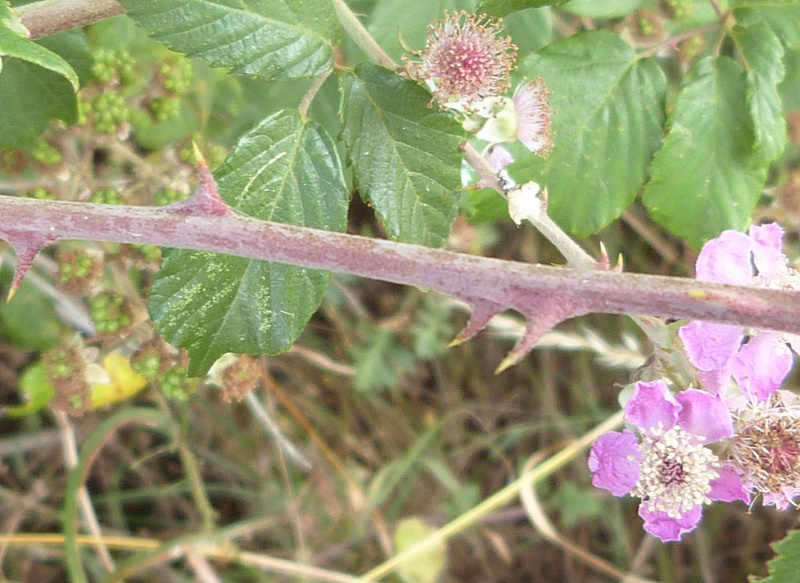 Common in Leicestershire and Rutland  it is the most frequent bramble in VC55. In the 1979 Flora survey of Leicestershire it was found in 463 of the 617 tetrads.